Can Ginseng Help Regrow Your Hair? There are many natural, homeopathic ingredients and treatments currently on the market that specifically target hair loss including Aloe Vera and Liquorice root. But one very powerful and effective ingredient that you may not have heard too much about is the natural plant ginseng. Ginseng is classed as any one of the eleven different species of slow-growing perennial plants with fleshy roots, found in North America and eastern Asia. 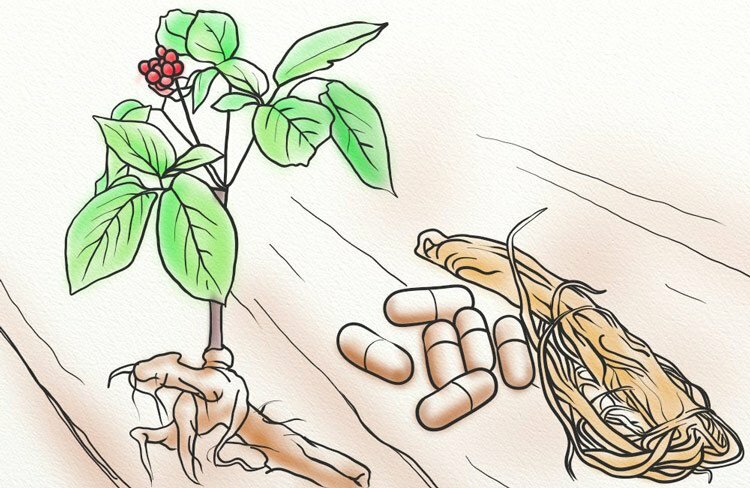 Ranging from acting as an energy provider, to helping with erectile dysfunction, to treatment for cold and flu, ginseng’s powerful properties are a force to be reckoned with and can help with a number of ailments, including hair problems. For centuries, the Chinese have been using ginseng as an important part of Chinese traditional medicine as they long ago realised the amazing health benefits that ginseng can bring to the body, mind and spirit. Check out the useful information below for some helpful hints get the natural treatment you need. Research has shown that ginseng might be beneficial for the growth of hair follicles. Ginseng is often used in many shampoos and conditioners as is known to stimulate the scalp and encourage hair growth. Its powerful properties also work to relieve stress, which can be a common cause of hair fall. A complete clinical study of using ginseng to treat Alopecia patients was carried out in 2012 and was published by the US National Library of Medicine National Institutes of Health in a paper called “Efficacy of Korean Red Ginseng in the Treatment of Alopecia Areata”. The study was carried out by Professor Sang-Wook Son of Korea University College of Medicine and involved testing fifty people that had been diagnosed with Alopecia Areata over a period of twelve weeks. Half of the group were solely given corticosteroids (control group) as treatment, while the other half were given a mixture of corticosteroids and ginseng as treatment. The results from the study were promising and the end of the twelve week period, the group that were given a mixture of both corticosteroids and ginseng produced much better results than those that had only the corticosteroids. Both hair density and hair thickness improved significantly in those in the group that received ginseng as part of their treatment (see below tables), while a lower increase was seen in the patients who took just corticosteroids alone. Note: ILI = intra-lesional injection; KRG = Korean red ginseng. Later research carried out in 2014 and was published in the Journal of Dermatological Science 77 (2) in January 2015, again confirming the healing powers behind ginseng used in treating alopecia. This study was a collaboration of efforts between many science professionals including Su Na Kim, Sehyun Kim, and Yong Deog Hong of the Amorepacific Corporation, Seoul and related to the effects that the ginsenosides of Pantax ginseng had in the promotion of hair growth. The tests that were carried out were done so using human dermal papilla cells (hDPc) and anagen hair follicles that had been isolated from a 48 year old male scalp that remained following a hair transplant procedure. When exposed to the Pantax ginseng, the hair follicles began to grow. The conclusions from this study were that the use of Pantax ginseng to promote hair growth has similar affects to that of minoxidil, which has been proved useful previously in the treatment of pattern baldness and could prove to be effective for alopecia patients. Cost: The cost of ginseng tablets can vary but are usually relatively inexpensive and can be bought from most major health shops. Natural ginseng is a little more expensive, at around $45 for 8 oz, but its benefits far outweigh the cost. Natural ingredients: Ginseng is a natural plant meaning no harmful toxins will be entering your body unlike with some other treatments available. Stimulates hair growth: Properties of ginseng improve hair’s regeneration ability by stimulating blood flow to the scalp. 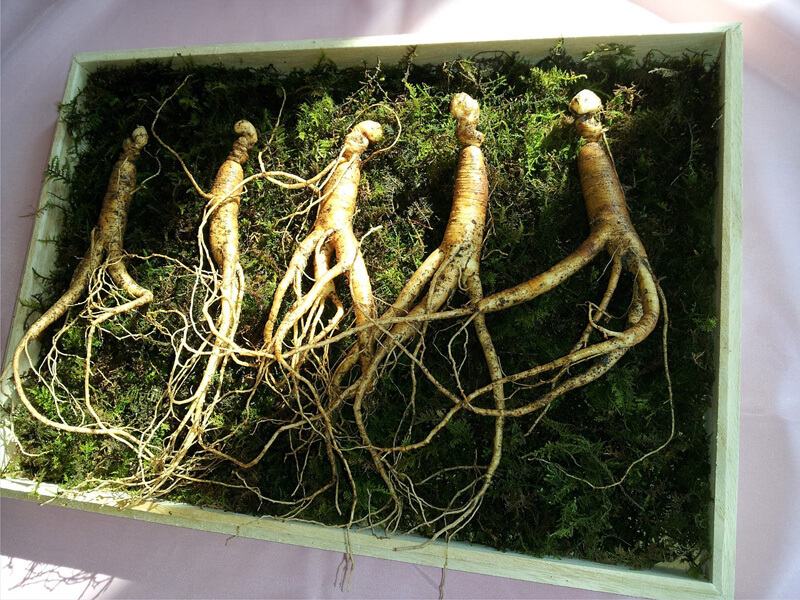 Availability: Although ginseng is found mainly in northeast China, Korea, Bhutan and eastern Siberia, it can easily be sourced from other places around the world. 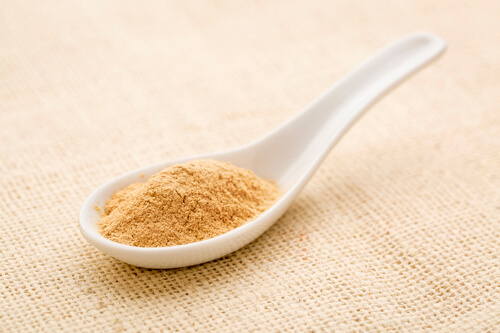 Most health shops and pharmacies will sell ginseng tablets or powder. Combats hair follicle miniaturization: The ginsenoside found in ginseng is known for strengthening the hair roots, therefore preventing further loss. Ginseng also improves the blood circulation within the body and boosts the immune system. Other health benefits: Certain properties found in ginseng have anti-cancer properties and have been known to damage cancer cells and inhibit their growth. It can also be helpful in reducing blood sugar levels in type II diabetes patients, lowering cholesterol levels and act as an anti-inflammatory. 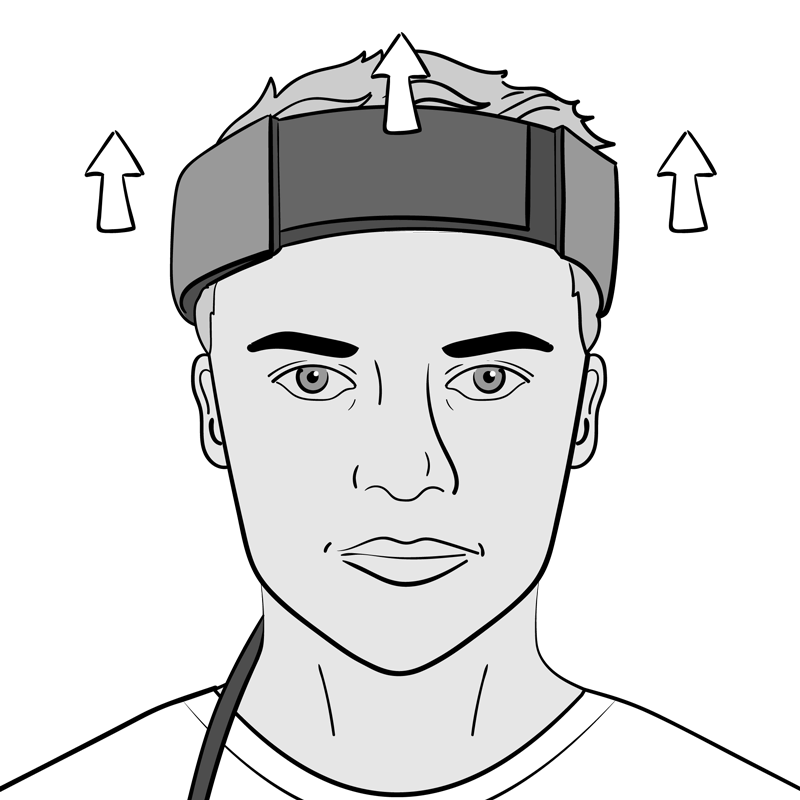 Helps to reduce stress levels which can be a big trigger for both men and women. If you are thinking of trying ginseng to see for yourself what amazing benefits it has, then take a look at these at home recipes that can be put together in no time at all. Using home remedies will cost you a fraction of the price you would pay for a manufactured product, is far healthier for you as it is all natural, and can work just as, if not more efficiently than the store bought kind. For this recipe you will need to purchase some ginseng supplement tablets from the pharmacy or your local health store. These are relatively inexpensive to buy (100 capsules can be bought for around $12) and will last for 100 uses of this recipe. You will also need some oil. Both coconut oil and jojoba oil work really well for this. Empty one of the ginseng capsules into a mixing bowl and mix with it 3-4 tablespoons of your selected oil. Once this has been mixed thoroughly and is at a suitable consistency, apply the mixture directly onto the scalp. Continue to massage the mixture into your hair and scalp for at least 5 minutes. Repeat this daily for maximum results. Mix together all of the ingredients (apart from honey and milk) together in a mixing bowl until they are well combined. Then simmer 1/4 cup of mixture per quart of water on the stove for around 15 minutes, but do not let the mixture boil. Next, remove the saucepan from the stove and strain the herbs. Finally, add the honey and milk to taste. Why not try a combination of these recipes to get the best results? 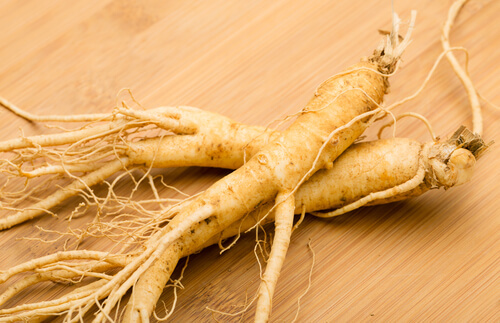 Using ginseng or any other natural ingredient is far better for you in the long run, and as previously mentioned, medical studies have clearly shown that these do work in the treatment or prevention of many ailments. As well as treating hair loss, ginseng is great for the hair in many other ways such as preventing dandruff and grey hair, and overall strengthening of both the hair and roots. Like with any medical issue, things take time to heal and repair, and hair is no different. So, before you get ready to throw the towel in after only a couple of treatments, give it some time. The last thing you need is for stress to bring down your immune system as this will only have counter-productive effects. Also, remember that prevention is the key as with any problem we encounter and if you do notice you may be thinning out in the hair department, take action now. It will make things much easier and quicker to deal with if you start treatment early.